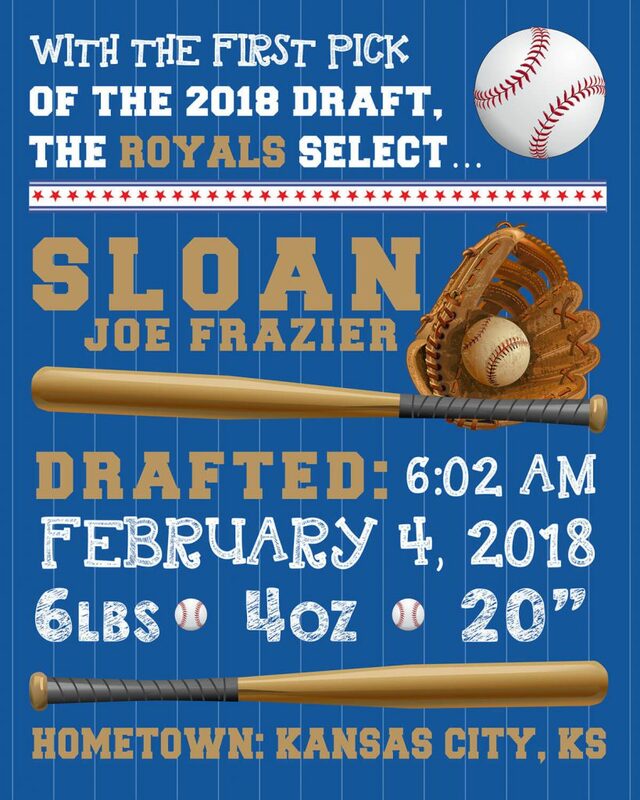 Home / Baseball / MLB Kansas City Royals Baseball Wall Art Birth Announcement. Personalized! Sports Room Decorations. The perfect baby gift or a keepsake for your little All-Star and get them cheering for the Kansas City Royals from the earliest age! It’s a great addition to any child’s room or nursery, or as a baby shower gift. 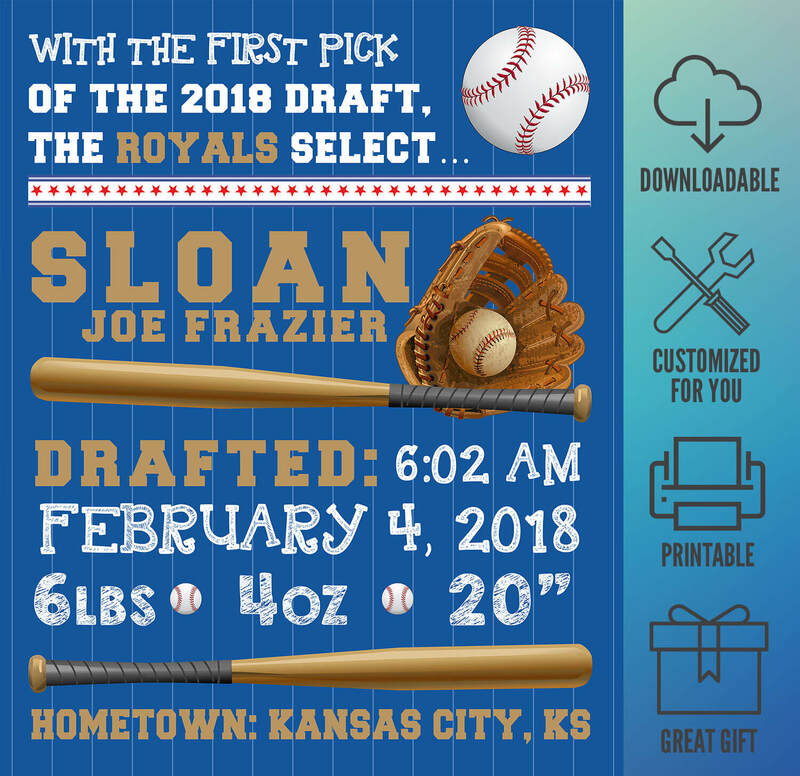 The perfect way to immortalize your little All-Star and get them cheering for the Kansas City Royals from the earliest age! 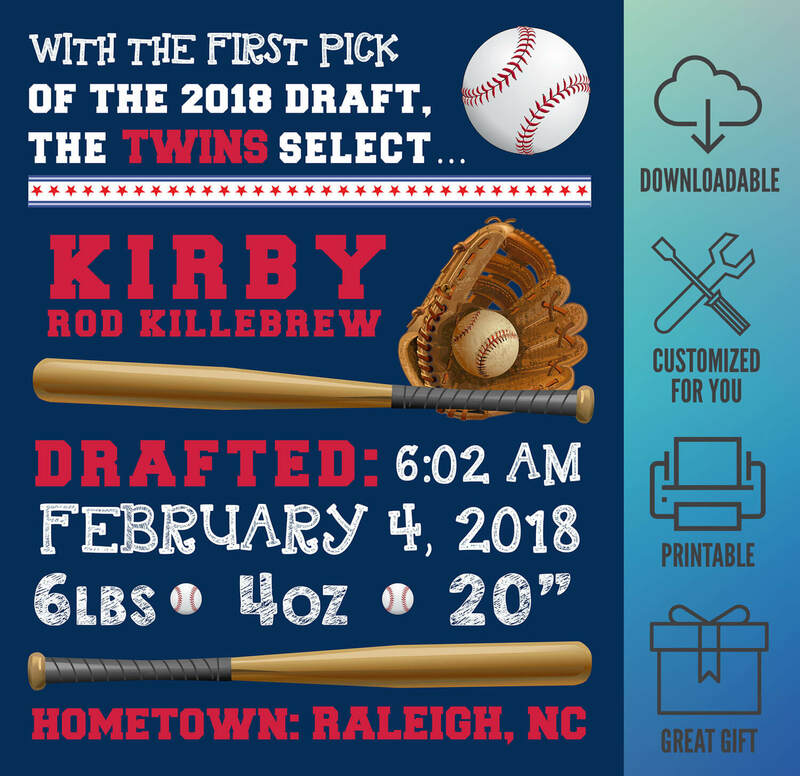 MLB Minnesota Twins Baseball Wall Art Birth Announcement. Personalized! Sports Room Decorations. 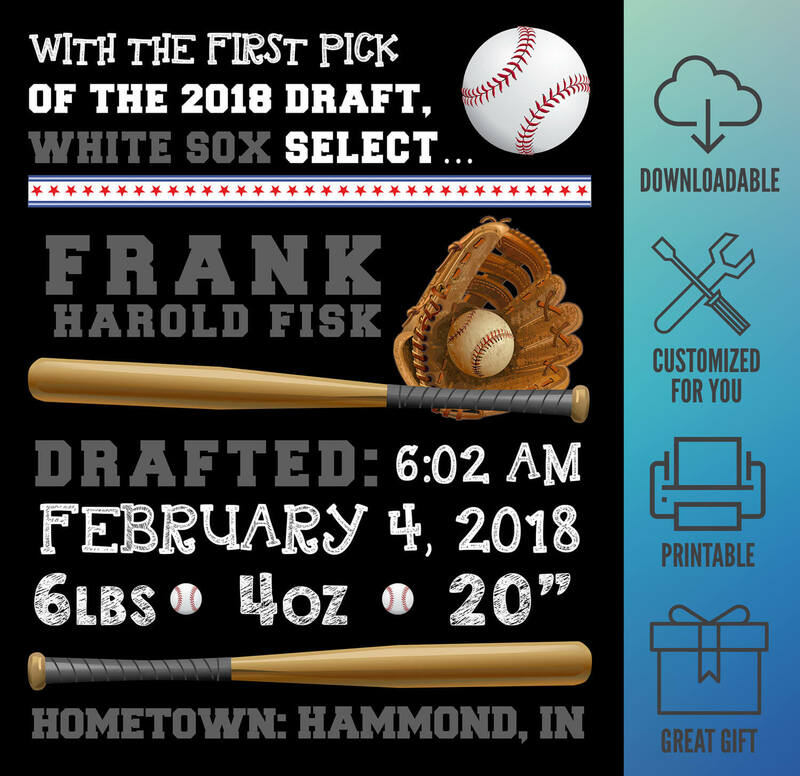 ANY TEAM Baseball Wall Art Birth Announcement. Personalized! Sports Room Decorations.